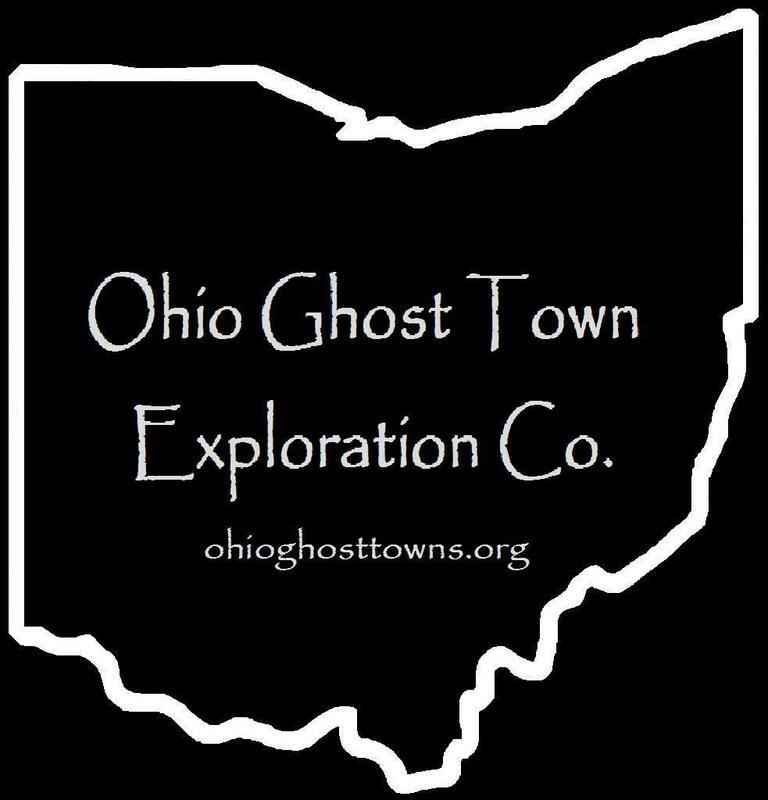 Delaware County – Ohio Ghost Town Exploration Co. Description: The town was founded by Joseph Cole (1775 – 1849) from New York & Mary (Curren) Cole (1778 – 1865) from Ireland. They made the journey to Ohio from Virginia in 1808, were early pioneers in the county, & had a few children. The first Baptist congregation in the county formed in the area in 1810 Joseph became a deacon, holding meetings in the Cole family cabin until 1819 when a log church was constructed with timber from the Cole property. Joseph built the first saw mill in the township in 1820, followed by a grist mill in 1823. The were on the Olentangy River, called Whetstone Creek at the time, just west of the GPS coordinates. The log church was dismantled in 1836 & moved to the Cole farm where it was used as a barn. A new frame church was constructed on the Cole farm near the GPS coordinates & was used until 1873 when a large brick church was built at a cost of $3,300. It was destroyed by a tornado in 1916 & was replaced later that same year by the present frame structure. The location of Marlborough Cemetery was also originally at the old church site. Both the cemetery & church were moved in 1950 by the U.S. Army Corps Of Engineers during construction of the Delaware Dam. It’s uncertain if the exact locations of the saw mill, grist mill, former church & cemetery were submerged by the creation of Delaware Lake in 1951. Some of the land in that area flooded & some was spared from the potential watery demise. Joseph & Mary Cole were buried with many relatives in Marlborough Cemetery, including one of their sons, Hugh Cole (1807 – 1887). Hugh once saved his father from downing at the mill dam site while repairs were being made. Joseph dislocated his right arm after falling off the dam & luckily caught the submerged branches of a sycamore tree through the swiftly moving waters. Hugh rushed in with a dugout canoe to grab Joseph who later stated he wouldn’t have been able to hang on much longer. In 1832, Hugh saved another man named Thomas Willey who capsized over the dam in a dugout along with Nathaniel Cozard. Hugh entered the water on horseback & caught Thomas by his hair as he was going under, likely for the last time. Nathaniel was found dead about a mile downstream. Description: The original proprietors were John W. Cone (1809 – 1891) born in Delaware County & Mary (Williams) Cone (1814 – 1885) from Wales. They were married in 1831 & had 13 children. John built a wool factory next to the Scioto River around 1844 & engaged in farming & livestock raising. The town also had a saw mill, tannery, & there was a school on the east side of SR 257 south of the GPS coordinates on land owned by the Swartz family. The wool factory was converted to steam power in 1868 & unfortunately caught fire from engine sparks, destroying the business in 1874. H. P. Pickrell built a large grist mill on the site in 1877, constructed a general store nearby, & was the postmaster. However, his hard-fought efforts weren’t enough to save the fading town, which ended up falling off the prior to 1900. John & Mary Cone were buried with relatives in Radnor Cemetery about 3 & 1/2 miles northeast of the GPS coordinates at the intersection of SR 203 & Randor Rd. Description: War Of 1812 veteran John Cutler (1780 – 1871) from Prussia, Germany married Matilda (McGown) Cutler (1809 – 1864) from Franklin County in 1825. They settled in Concord Township in 1830 & owned an 880 acre farm. John built a saw & grist mill next to the Scioto River & was the first treasurer of the township. There was a school on the east side of SR 745 north of the GPS coordinates. John had 10 children & divided up the family farm to them over the passing decades as was needed. He was buried with relatives in Cutler Cemetery. Description: It was the oldest village in the township & was settled in the mid-1810s. The first families comprised of William Cratty (1763 – 1817) & Sarah (Dodds) Cratty (1765 – 1846), Andrew Dodds (1763 – 1823) & Mary (Cochran) Dodds (1772 – 1815), & John Lawrence (1771 – 1815) & Jane (Cochran) Lawrence (1777 – 1818). The town was platted with 27 lots in the southeast corner of the intersection & was called Fairview because of the beauty of the location. The name changed to Edinburgh before publication of the 1849 county map. Residents expected to attract a railroad in the mid-1800s, but it ended up running through Ostrander which was platted a mile to the south in 1852. Edinburgh had a school & church on the south side of the cemetery. Failure to get a train station stopped its growth, but the area was never completely abandoned. The name changed to Fairview Corners sometime in the 1900s & is still a populated place which pops up on Google Maps. Everyone mentioned in this listing was buried with relatives in Fairview Cemetery. Description: It was originally called Franklin Corners & was named after Vernon Franklin (1800 – 1863) from New Hampshire. He was the postmaster for the first 15 years & was succeeded Dr. Lewis Badger (1801 – 1872) who moved to Illinois & didn’t name anyone to take over the office. Vernon was buried with relatives in Burnside Cemetery about 1 & 1/2 miles north of town at the intersection of S Old 3C Rd & Lewis Center Rd. Description: This small farming & postal town was along Little Mill Creek in southwestern Scioto Township. It didn’t have a village & the post office served residents of Edinburgh & Ostrander. Joseph Maugans (1797 – 1873) was the first known postmaster. He was buried with relatives in Mill Creek Cemetery on the west side of Ostrander Rd (County Rd 153) south of Ostrander. Ezekiel Rogers (1833 – 1892) was the last known postmaster. He was buried with relatives in Fairview Cemetery on the east side of Ostrander Rd north of US 36. Description: Peerless was on the Toledo & Ohio Central Railroad. The train station was purchased by a local farmer in 1941 & converted to a corn crib. Description: It was a Native American Mingo town founded in the early 1770s by Mohawk born Chief Plukkemehnotee (Pluggy) & had a few hundred residents. Chief Pluggy was killed near McClelland’s Station, Kentucky after a battle in 1776. Description: Burials in the cemetery predate the arrival of the Hanover family, which moved to the area from West Virginia around 1830. It’s unclear exactly when & why the place went by the name Snipetown. The post office was called Ralph, which is also another mystery of sorts. Hanover Cemetery was vandalized in the late 1900s with some of the stones broken & taken. However, a few of them were found in a barn in Licking County & were subsequently returned. Description: Joseph M. Cellar (1830 – 1902) opened a store next to Liberty Presbyterian Church around 1848 & a post office called Union was established there. They both only lasted a few years though. Joseph was buried with relatives in Liberty Cemetery. In 1801 Revolutionary War veteran Nathan Carpenter (1757 – 1814) built a saw & grinding mill on the banks of the Olentangy River. More mills were constructed in the area over the next few decades. It was originally called Liberty Settlement but the town name changed around the time it got a post office that was in existence from 1832 – 1837. Nathan was buried on his family farm but there’s a memorial for him next to the Liberty Cemetery at Liberty Presbyterian Church. It’s Ohio Historical marker # 15 – 21 at the corner of Olentangy River Rd & Home Rd. Later in 1844, a new grist mill was built in town along the Olentangy River. It was purchased by George Beiber (1803 – 1854) & Mary (Rahn) Beiber in 1848. Their sons James Beiber (1830 – 1905) & Henry Beiber (1835 – 1917) took over the mill production after their father died. They added on to the wooden grist mill with a stone sawmill in 1877 but couldn’t keep up the payments on the debt owed for the expansion. The mill was auctioned off in 1889 & changed ownership several more times over the years. The wooden grist mill was destroyed in a fire but the stone mill still stands between Chapman Rd & the river about 1 & 1/2 miles south of US 23. The town also had 2 schools along Chapman Rd, one north of the mill & another just south of the mill. The Crist Tavern Millworks Boarding house was built in 1835 at 2966 Olentangy River Rd & is on the National Register Of Historic Places. George & Mary Beiber’s farmhouse is at 2010 Stratford Rd, Delaware, OH & was listed on the National register of Historic Places in 1991. The Beiber family was buried in Oak Grove Cemetery on Sandusky St in Delaware, OH.